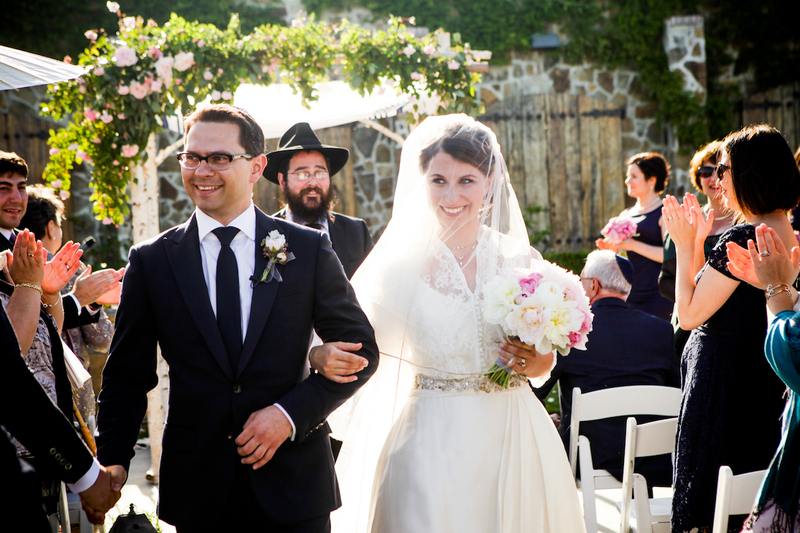 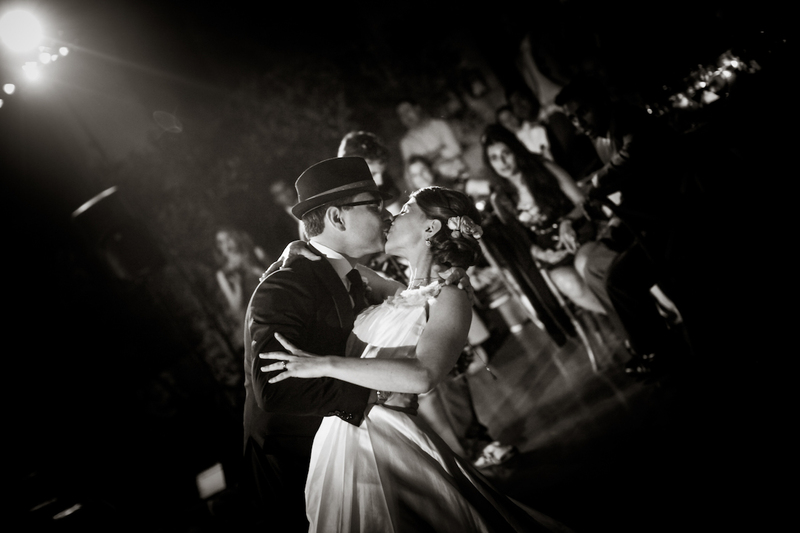 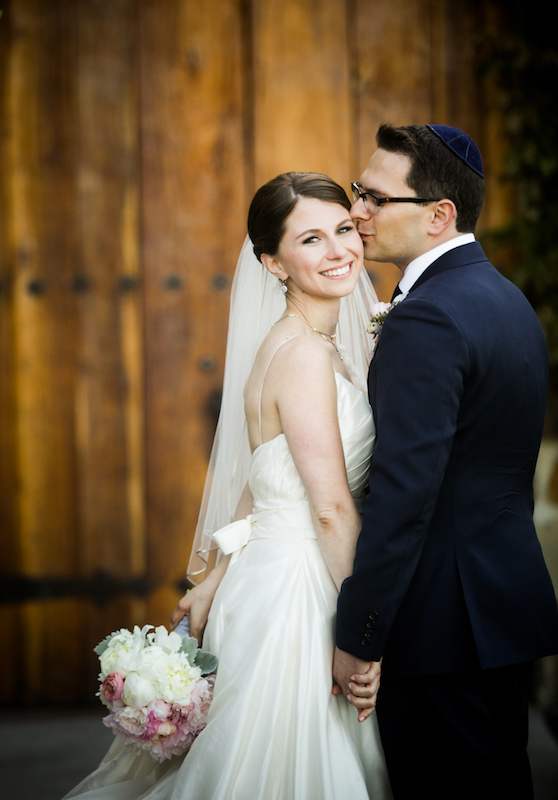 Staying true to their Jewish faith, Natalya and Alex fully embraced all of the Orthodox traditions when planning their ceremony and reception. 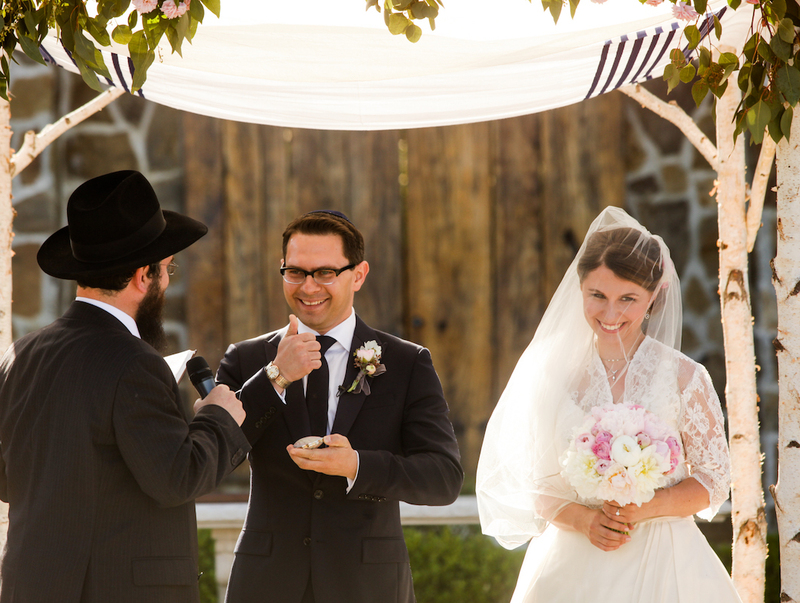 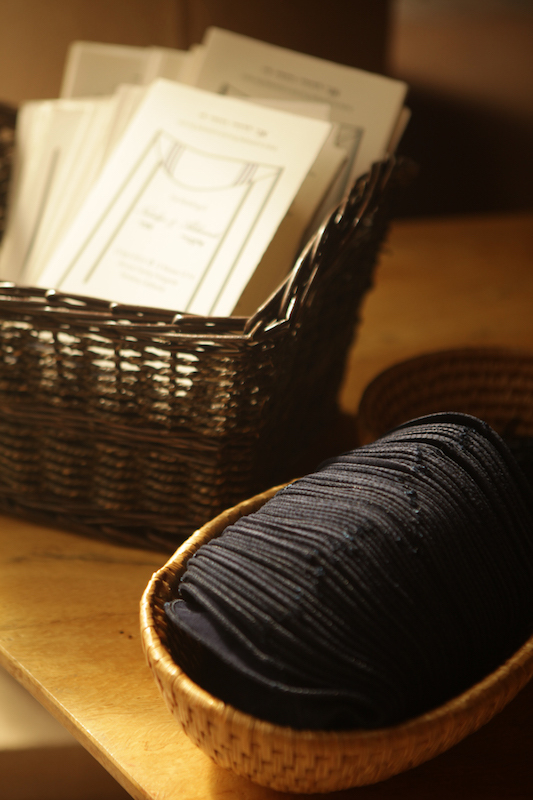 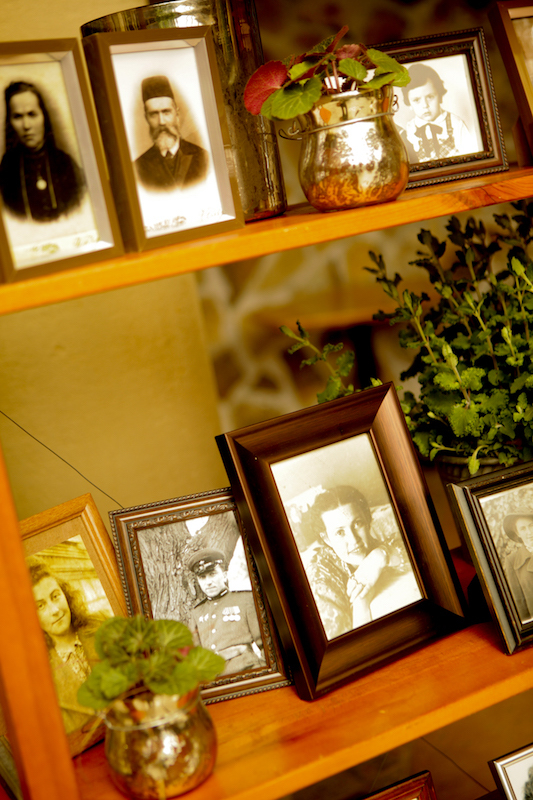 The tish for Alex, took place in a private room, where the ketubah was signed. 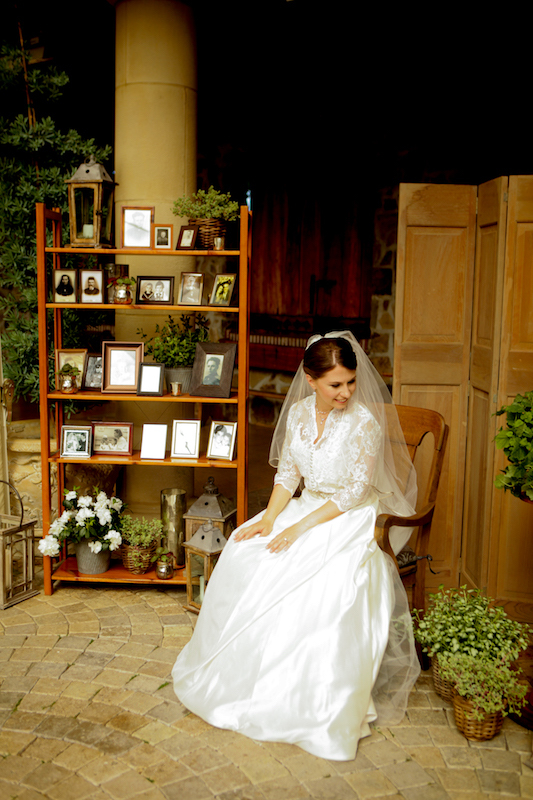 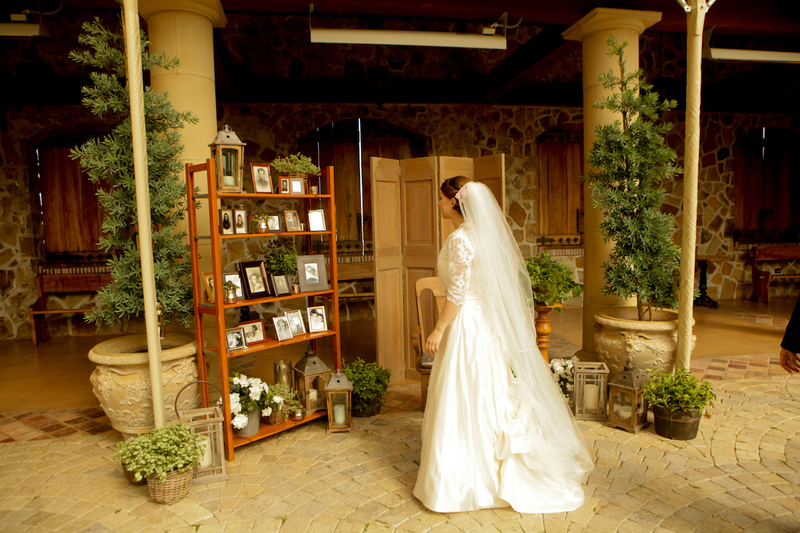 Natalya, with her own “seated area vignette” or bedekin, greeted guests while they arrived. 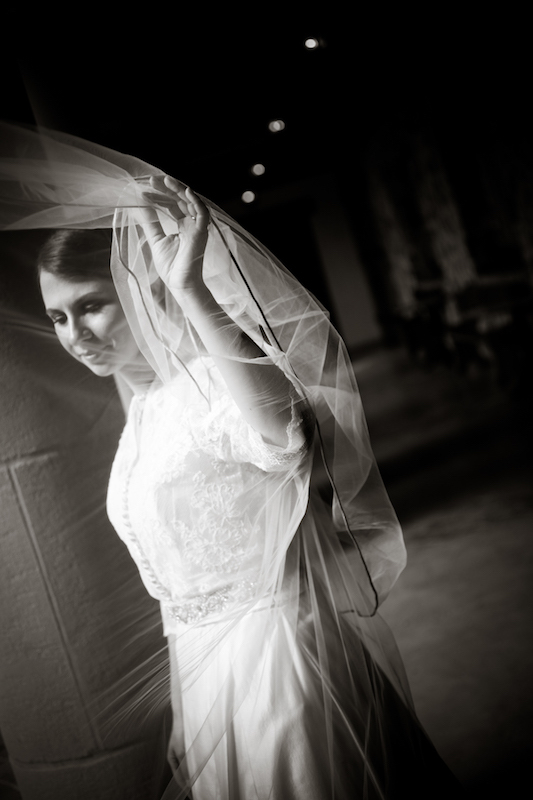 When the tish was completed, Alex, with a musical processional, arrived to his bride and veiled her. 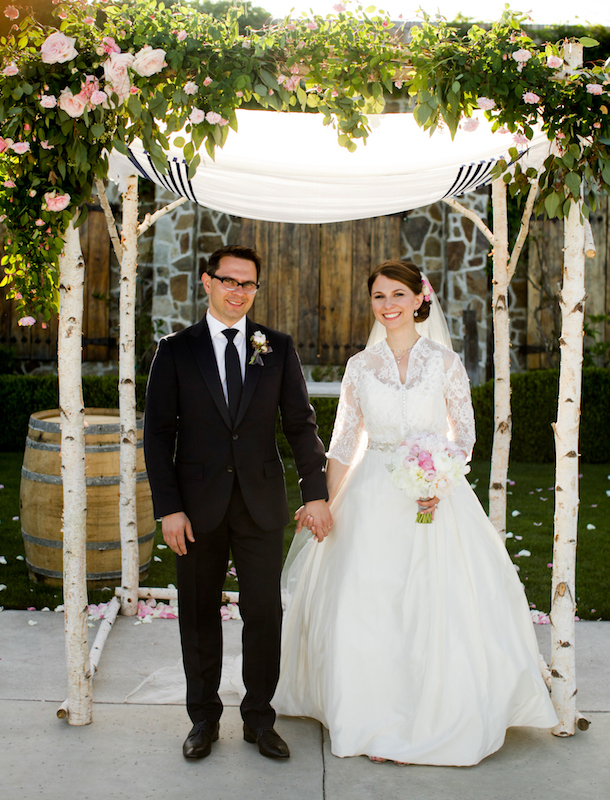 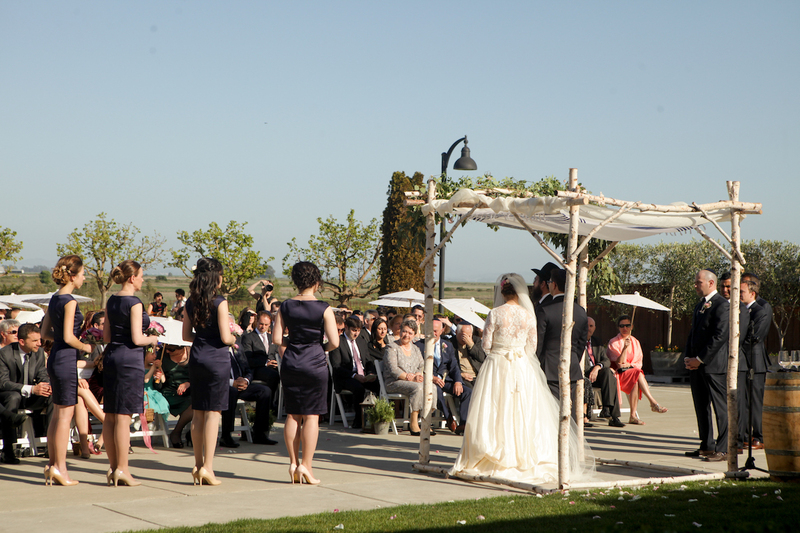 Once guests seated, Natalya and Alex joined their guests “under the chuppah” for a beautiful and moving ceremony. 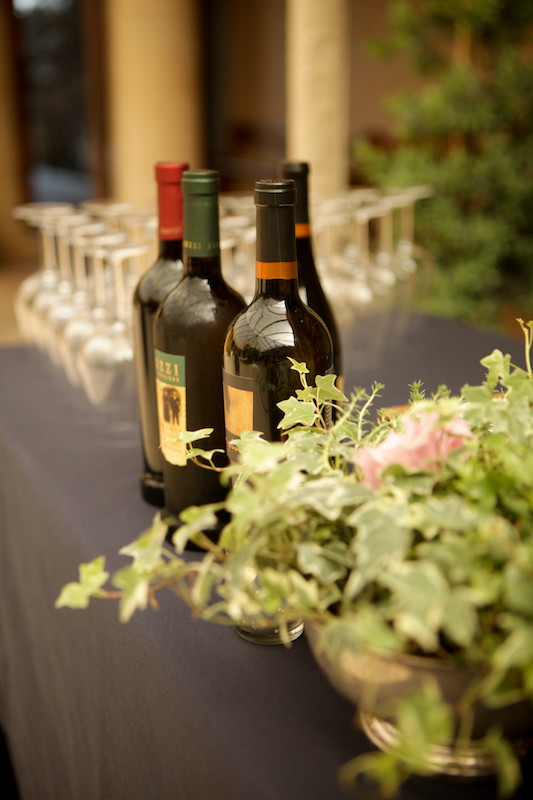 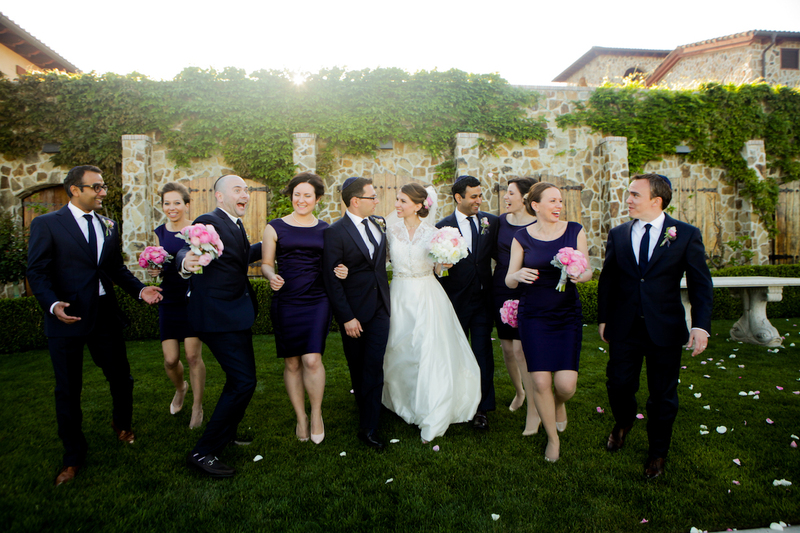 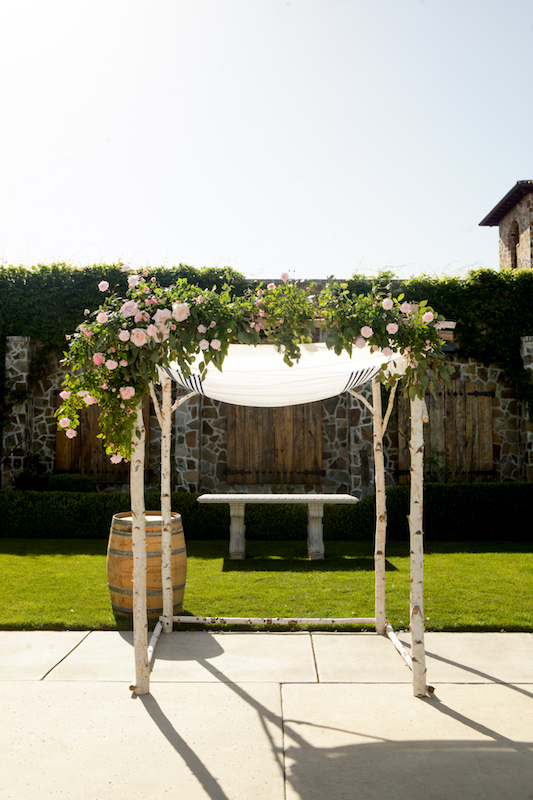 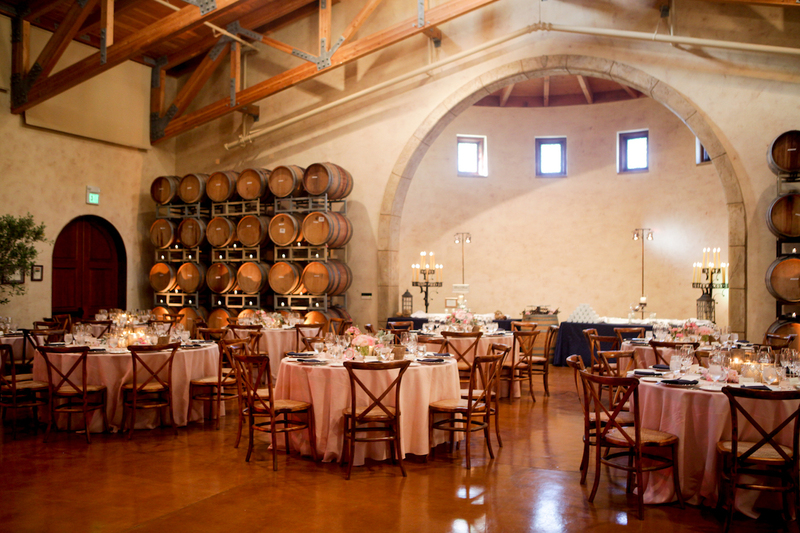 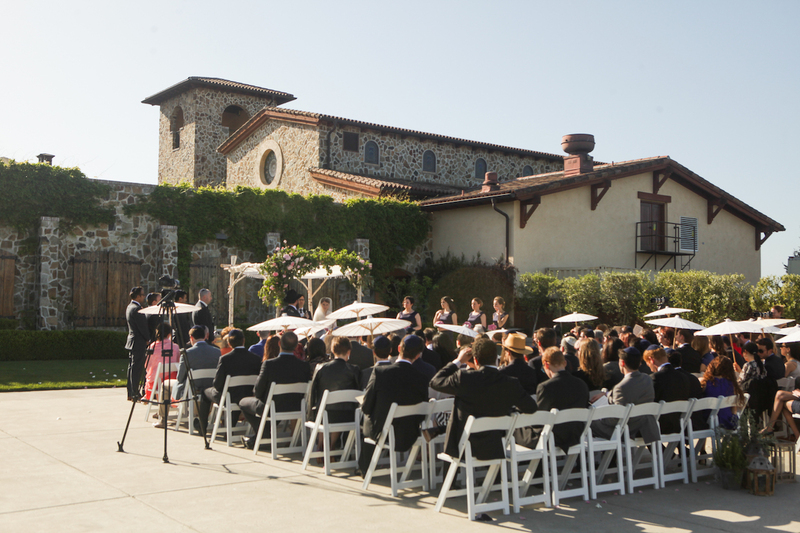 Post ceremony, guests moved into an open piazza for passed hors d’oeuvres and wine before heading into the winery’s barrel room for dinner. 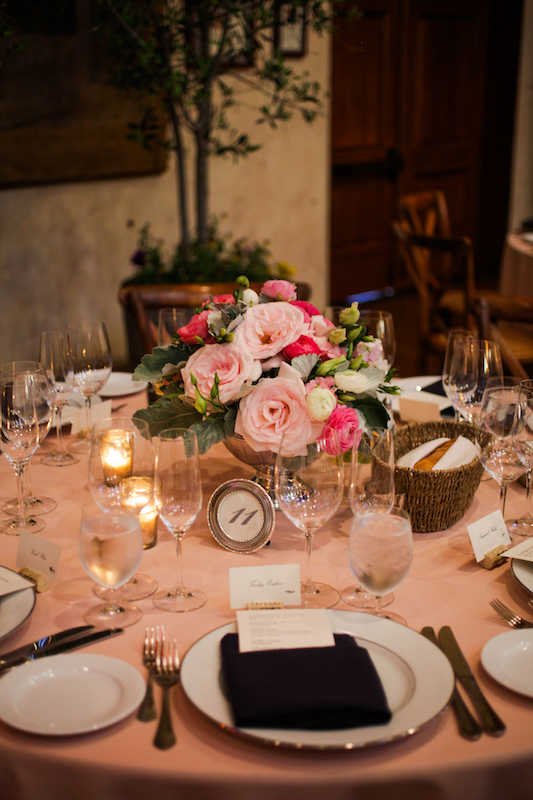 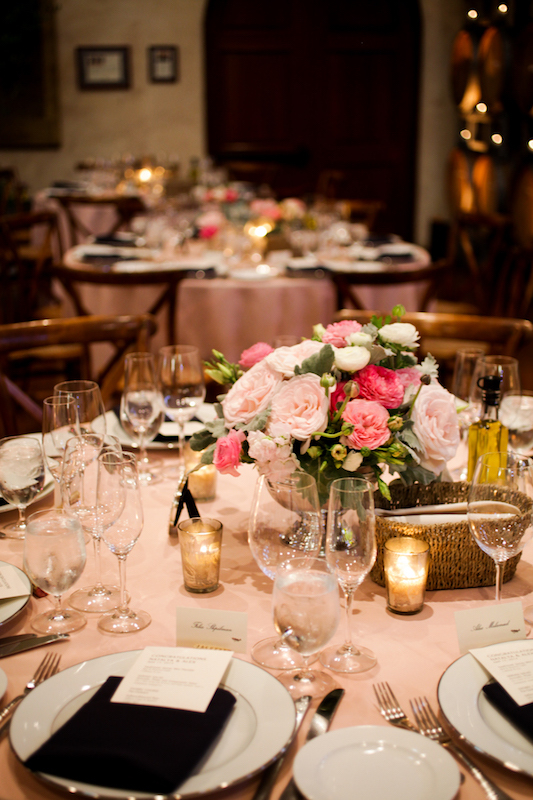 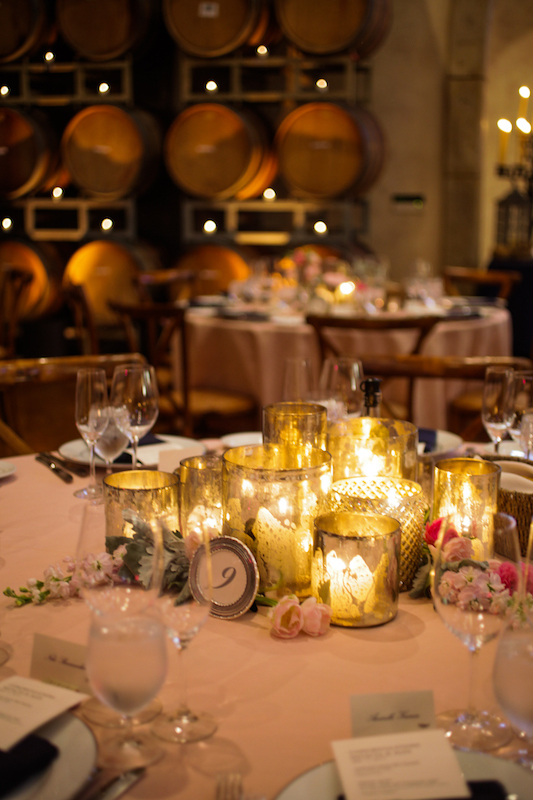 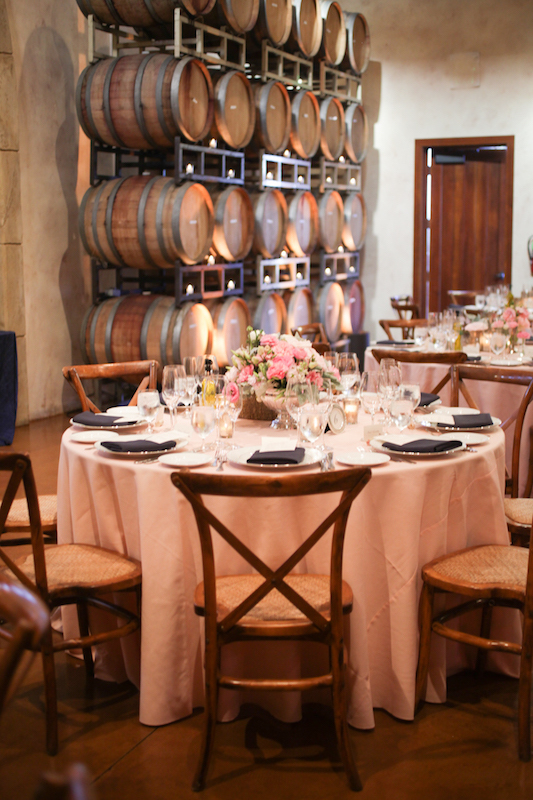 The couple chose to uplight the surrounding barrels with warm amber tones to complement their soft pink tablecloths and mercury glass containers. 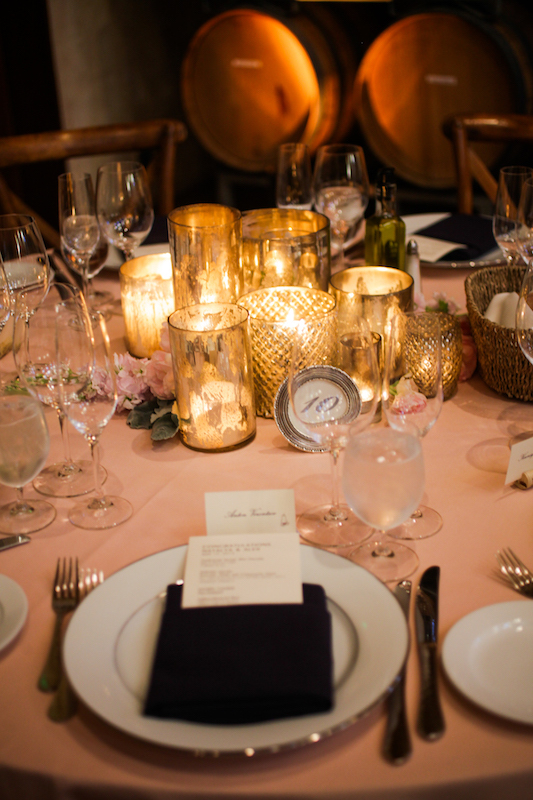 Dancing took place in the center of the room – including a twenty minute Horah – with guest tables surrounding the busy dance floor. 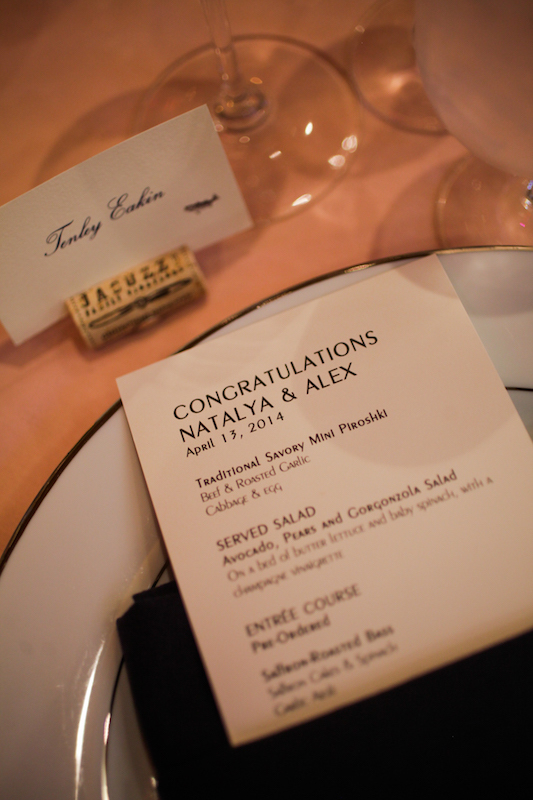 A recorded toast from the groom’s grandmother (recorded from Alex’s motherland, Kazakhstan) at the conclusion of dinner service surprised both the groom and the bride with heartfelt wishes from afar.